Bubbles everywhere. The US looks tame by comparison. Asian money continues to search the globe. I came across this article titled, For Chinese Real Estate Investors, U.S. Is Tops. According to the article, the U.S. housing market is a draw for foreign real estate investors, who continue to express assurance in either becoming or remaining active in U.S. real estate. One of the most considerable countries of origin is China, where investors are slated to pour $80 billion into international real estate in 2017, with the U.S. at the top of the list. The projection, though a pull-back from 2016’s record $101.4 billion, is historically one of the largest sums ever. If we analyze the global price data, the US market looks tame in comparison. The concern of bubbles is more pressing in smaller nations, such as New Zealand and Canada, where foreign money has a much larger impact. China has been the top country of origin for residential real estate investment in the U.S. in recent years, according to the National Association of REALTORS® (NAR), surpassing all other countries in terms of dollar volume. China has also made waves on the commercial side, making the most investment of all countries in the sector in 2016. The rules governing Chinese real estate ownership have only been formalized since 1994, and if we look at their housing price data since then it has been a consistent winner. Since the Chinese have never been impacted by a long-lasting real estate downturn, they have no fear. Real estate downturns in the western nations can last for a decade or more; and certain sectors, like condominiums in second- and third-tier areas, can have price downturns that take decades to recover. Based on empirical money flow data it seems that Chinese and Asian investors along with institutional money, like Blackrock, are causing the global real estate bubbles. My concern is that many Chinese are buying real estate like they are buying bitcoin. When the Chinese Communist Party assumed control over mainland China in 1949, it did not follow Russia’s Bolsheviks in immediately abolishing the private ownership of land. Over the years, however, government policies chipped away at the rights of landowners until, by the end of the Mao Zedong era, private ownership existed in name only. With the promulgation of a new constitution in 1982, all urban land was declared state-owned. Since then, state ownership of urban land has been considered a pillar of Chinese socialism. By the late 1980s, the state was looking for ways to marketize land use and raise money, and so—in a process that began experimentally in 1988, was formalized into law in 1994. Regardless, the owner of real estate in China essentially rents back the land from the Government. In the US there is “ground rent” and in China this is essentially the same. Since these laws have been codified, residential real estate prices in China and in much of Asia have been on a non-stop climb. This Bubble Is Different; When it Pops, the Causes Will be Different. It is easy to look at charts and exclaim we are in a bubble. I look at this twitter feed to demonstrate how this confirmation bias can mislead investors for years. He has been at it for at least two years. 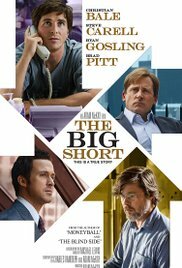 I guess that people like him must have read or watched “The Big Short” and think it is going to end the same way again. But residential mortgage underwriting has been more strict since the last downturn, and many real estate transactions still involve cash only. So, something else is going on. -Asian money primarily, and other foreign funds looking to park cash off the grid and make capital gains. As long as these investors have the cash, prices will continue to defy gravity. When these pools of money dry up then we need to watch out below. What makes the heightened money flows from China worrisome is that the Chinese do not seem to be performing the usual due-diligence that is routine in normally functioning markets. If we use the classical assumption that we can measure residential house prices based on certain criteria like Capitalization Rates or Internal Rates of Return, we can be on the wrong side of the housing cycle for years. Boom/bust cycles always take place and it is incorrect to try to base upcoming bubbles by how the prior ones occurred. If and when there is a large collapse in house prices it will vary from country to country. With this hot and dumb Chinese speculative money, this cycle can be propped up for a lot longer than even the speculators of “The Big Short” can hold out for before going bankrupt. But, you and I both know; this won’t end well for anyone.